The 50,000 mile Lufthansa Miles & More® Premier World MasterCard® offer is currently one of the best airline credit card offers available. It’s one of the few sign-up bonuses that is worth a roundtrip flight to Europe from the US. Since it’s a valuable recurring offer I’m updating and adding more info to this series that will cover the basics of the Miles & More frequent flyer program and using Lufthansa miles. Get 50,000 Lufthansa miles – worth 2 flights within the US or 1 flight to Europe! Lufthansa miles are incredibly valuable for domestic travel within the US and the program has a very competitive award chart for flights to Central America, South America, and Europe. There are some real sweet spots on the Miles & More award chart that offer some of the lowest priced awards across all major programs. Pair that with their lenient stopover and open-jaw rules and you can book some impressive awards. However, it is much harder to get the same value for flights to Africa, the Middle East or Asia. The current offer for the Lufthansa Miles & More® Premier World MasterCard® is still offering 50,000 bonus miles after spending $5,000 in the first 90 days. The offer is published to end on June 30, 2014. 1. 17,000 miles for a First Class one-way within the US – with a flat-bed! It’s only 17,000 miles and only $2.50 in taxes (no fuel surcharges) to book a First Class one way flight within the US on United. This includes flights from the mainland US to Alaska, but excludes Hawaii and the Virgin Islands. This means you can get a First Class one-way flight on United’s premium service flights between LAX/SFO and JFK which has a flat-bed. This is 7,000 miles cheaper than using United miles and US Airways doesn’t price out one-way awards so you would have to book a round trip for 50,000 miles. Mileage Bargains are steeply discounted economy award routes from the US to Europe for 30,000 miles round trip. These flights are on select Lufthansa, LOT and Austrian Airlines flights and require travel before certain dates. You can find a list of the current discounted routes here, and each route has a time period with which you must travel for the discount. Mileage Bargain awards offer a huge discount if you can find a city and date that works for you. 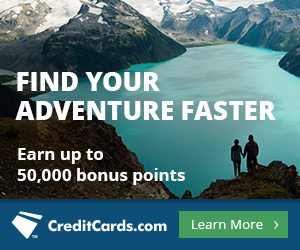 The 55,000 points you earn after hitting the minimum spend for the current Barclays Miles & More credit card is almost enough for two round trip economy Mileage Bargains awards to Europe! 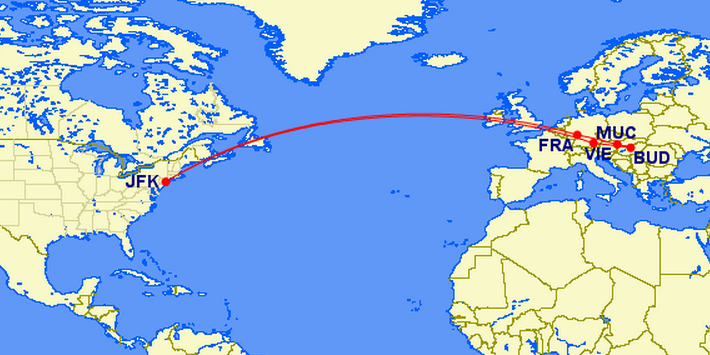 This 30k round trip is in comparison to the normal 50k miles round trip for awards to Europe. On a regular award you can avoid paying fuel surcharges by booking on Polish LOT and get a ticket to Europe for 50k + ~$200 in taxes and fees. You can book one-way awards within the US (excluding Hawaii or the Virgin Islands) for only 12,000 miles. You’ll be able to fly on United and pay no fuel surcharges for domestic US awards, and includes flights from the continental US to Alaska. When you book one-way awards using Lufthansa Miles & More miles the total price you pay is rounded down to the nearest 1,000 increment. This means that a round trip award will cost 25,000 miles, but when you book two one-way awards you can fly round trip for 24,000 miles. A small mile saving, but worth the couple extra minutes of booking a separate award reservation. 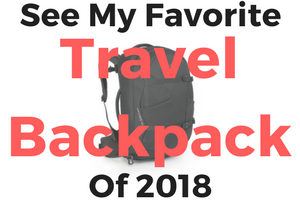 35,000 miles + ~$140 in taxes and fees! You can book awards on TACA and United and fly anywhere they service within Central America and the Caribbean. TACA services more destinations and has a hub in San Salvador, El Salvador. 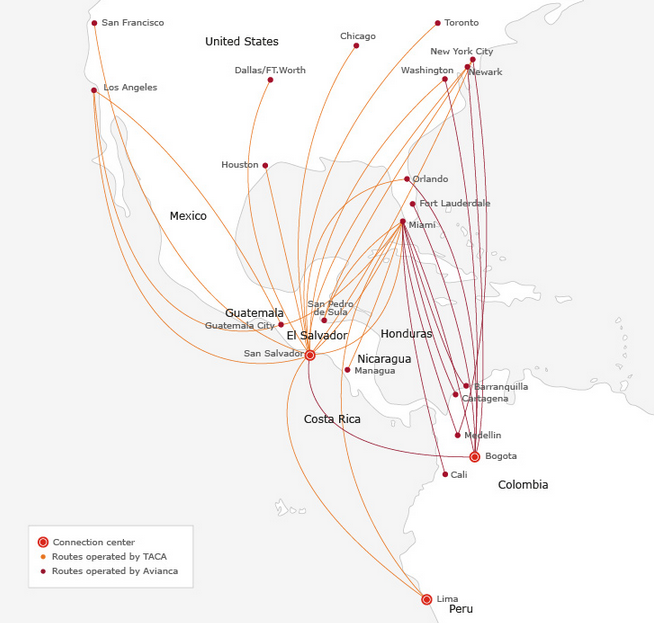 They also have many connecting flights between Central American cities to which makes it easy to add a stopover to your award routing. 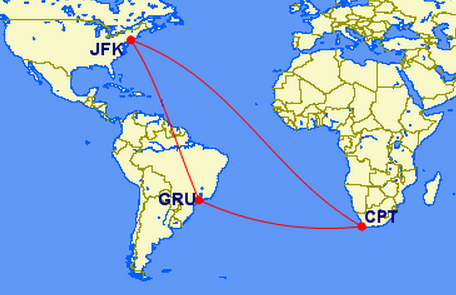 You can add up to two stopovers and a two open jaws per round trip away. This makes it possible to visit 3 Central American cities on one award. 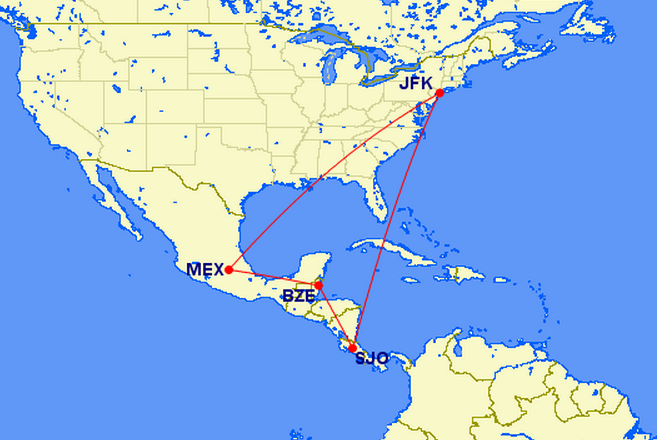 The options for a 3 city Central America or Caribbean hopper award are endless just as long as you don’t exceed the total of 6 segments. Remember, if you book a one way award you can save 1,000 miles per round trip because each way is only 17,000 miles. You can fly from the US to Europe for only 50,000 miles round trip in economy! That is cheaper than using United, AA, or Delta miles. However you will pay high fuel surcharges on all Miles & More partner airlines except Polish LOT. You can book a round trip on LOT for 50k miles and around $200-$300 in taxes and fees. With Lufthansa’s generous stopover rules you can visit three European cities on one award. 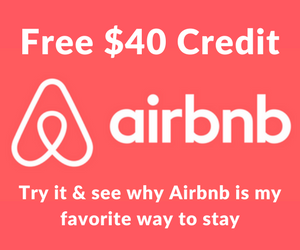 This essentially gives you the possibility of visiting three European destinations on one award and can add a ton of value to your miles. You can add a stopover in each direction, making it possible to have a stopover on the way to your destination and also on the way home! Note that adding stopovers will make avoiding fuel surcharges more difficult, and that Lufthansa will pass on fuel surcharges from most partner airlines (except Polish LOT). If it’s possible to book the segments of your trip on Polish LOT you can attempt to avoid high fuel surcharges and save a few hundred bucks. You can fly from the US to South American for 30,000 miles one-way and pay no fuel surcharges on United and Avianca. You can also fly on COPA airlines which has many connections within South American and Central American cities. 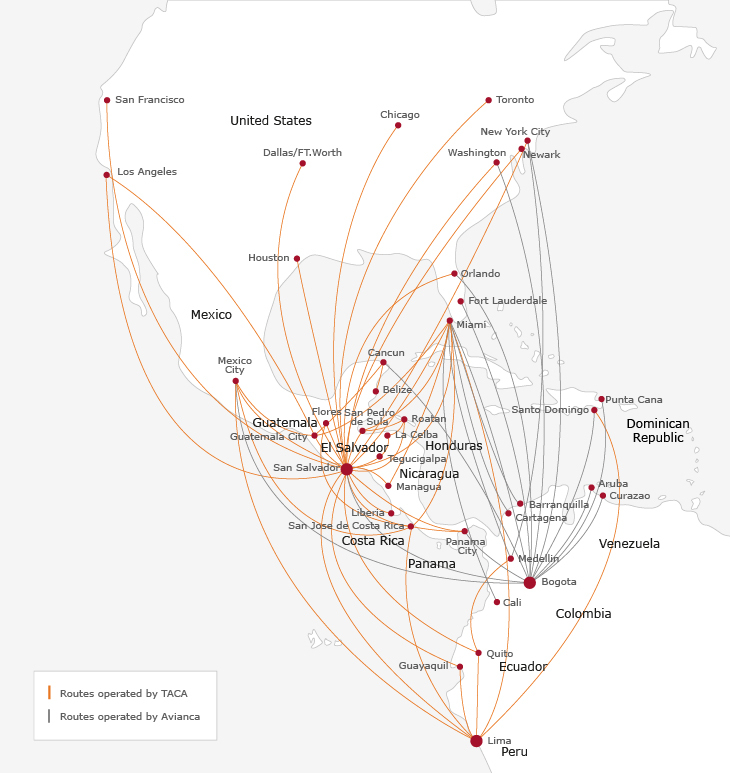 Between United, Copa, and Avianca you can fly out of many US cities direct to South America. You will also be able to add one stopover in each direction, but you it can’t be in Central American or the award price will increase to the 3 region award. You can book select round trip business class awards on Lufthansa, Polish LOT and Austrian Airlines for 55,000 miles from the US. These deals are from discounted Miles & More Mileage Bargains and travel has to be completed by certain dates, and make sure to watch out for high fuel surcharges on Lufthansa! You can book a round trip ticket on Polish LOT and only pay $160 in fees and taxes, whereas on Lufthansa they can run upwards of ~$800. These discounted awards also have restrictions such as no refunded miles if canceled and limited award seat availability. 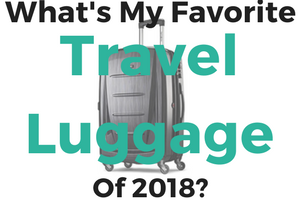 I am not totally sure how solid the award availability on these, but it actually surprised me with how many destinations are included on the list. If the departure or destination cities and dates work for you, you can get to Europe in business class for 55,000 miles! With 100,000 miles you could book an amazing award that visits any three regions on Miles & More’s award chart. This mean you can fly from the US to South America and then to Europe or South Africa or Asia or Australia, and then return home to the US for a flat award price of 100,000 miles. The trick with these awards is that you can fly over, but cannot connect or touch ground in a 4th region. With a little playing around you can book some great awards and save a lot of miles. 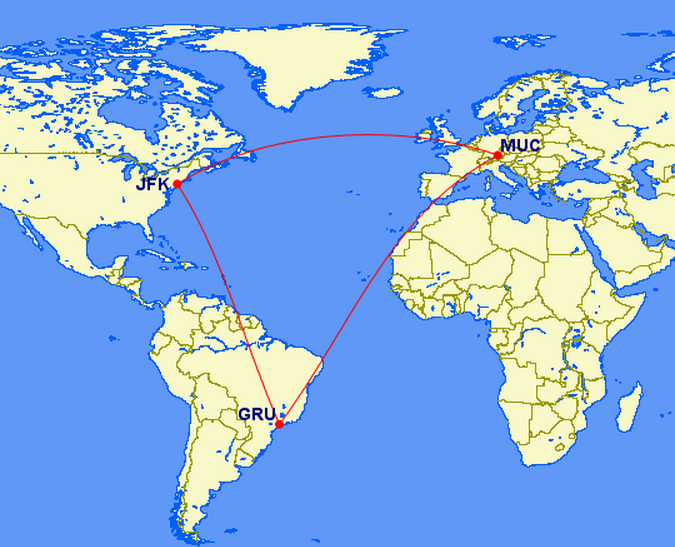 For instance, I called and priced out an award from New York to Sao Paulo to Munich then returning back to New York. This 3 region award would cost 100,000 miles + ~$500 in taxes and fees. It is possible to price out a 3 region award to less than $400 dollars round trip, but avoiding fuel surcharges to/from Europe is key. You can also use stopovers on a 3 regions award, but you cannot have over 4 segments, which makes adding them a bit tricky. As I mentioned above, using Miles & More’s generous stopover and open jaw rules you can book some amazing awards. You can have up to two stopovers and one open jaw on roundtrip awards. This means for 80,000 miles you can book a round trip economy award from the US to Hawaii (40k miles round trip) and then an additional round trip from there to Australia (40k miles round trip). Plus you can add stopovers and open jaws! A sweet spot in the award chart is to book a fully flat bed on United’s PS flights from EWR to HNL for 35,000 miles + $5.00 in taxes and fees. This means you can fly on a flat bed to Hawaii! For further explanation, from Hawaii you could book a round trip award to Australia/New Zealand or Central Asia/Far East with a stopover. For instance, you can fly to Hawaii and stay there for a week, then continue on to Australia and stay for several weeks, then on the route back to Hawaii you could stopover at another destination, then stay in Hawaii an additional time or connect straight through on the way back to the US. This award combination is technically two separate round trip awards that each price out to 40,000 miles with. Each round trip covers two zones and allows you two stopovers (one each way) and an open jaw making the possibilities almost endless. Having Miles & More miles gives you better award space availability than United when booking premium awards on Lufthansa and Swiss. Although it’s not cheap when considering fuel surcharges, the benefit of having access to more award space on some of the best first class products in the world is worth something. For anyone looking for premium awards on Lufthansa than obviously earning their miles is the way to go. With United miles you only get access to Lufthansa space 15 days in advance, so you are pretty much limited to last-minute bookings. 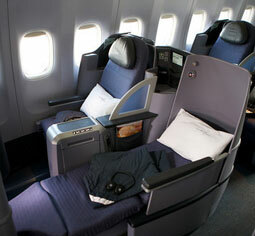 You will also pay a lot more using United miles on Business and First Class partner awards after the last devaluation. As always, if you decide to apply for a card though my links the support keeps the blog going and is greatly appreciated! Hi there! Question…I have 56K M&M Miles and 4K short of the 60K miles required. Can my wife transfer some of her M&M miles over to me or can I pay for the 4K difference? I see this post is from 6/30/2014. Does anyone know if this information is (mostly) current? thanks. Allison, have you tried calling in to Lufthansa to talk to representative and searching for award space? They were always super helpful when I have had to talk with them and that may be worth a try. Is it possible to have the round trip: 1. Venice – Las Vegas (stopover) – New Zealand, 2. 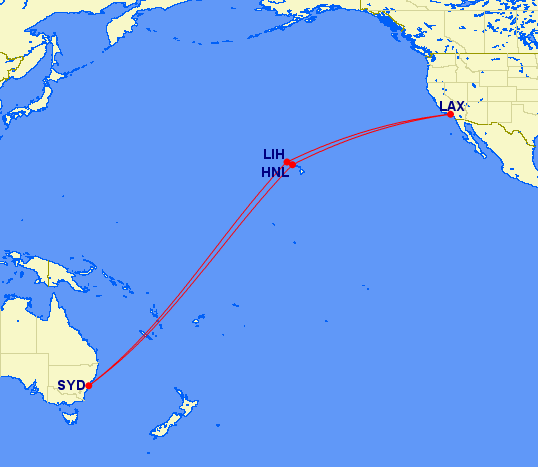 Australia (open jaw) – Hawaii (stopover) – Los Angeles – Venice for 100 000 miles + taxes. Best regards from Croatia, Europe! how do you get the 17k 1way FC domestic UA pricing please? MR. Cool, when you book a one-way award the price gets rounded down to the next 1,000 mile increment (e.g. 17,500 –> 17,000) and a domestic US business class award booked on United will actually book you in their PS flat bed seat. but what about domestic FC specifically. not biz. isnt FC only available on 3-cabin planes? 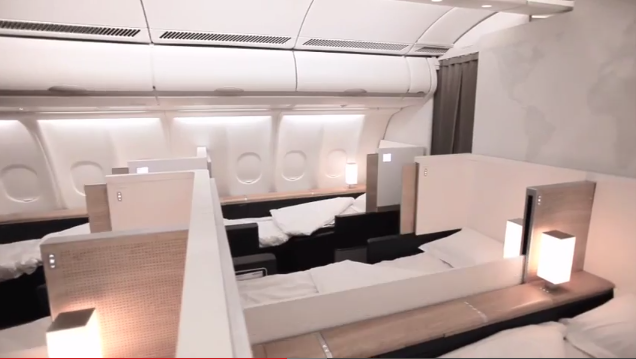 how does LH price all 3 domestic cabins? Mr. Cool, LH wont price out all 3 domestic cabins. You should only be able to price out business class awards at 35k, but you’ll fly on the same United flight that you would have to book at the business/first award using United miles for 50k. Hope that makes a little more sense. thanks. it does make sense. but LH’s award chart shows 50k in the “domestic” section. this is an error? LH will never actually charge 50k, rather 35k for ANY domestic, non-economy, UA flight?